俸珊, 俸娜, 付玉颖, 邹利, 刘珂, 任巧, 徐晓玉. 对乙酰氨基酚对不同妊娠期小鼠肝肾功能的影响及机制研究[J]. 中国药理学通报, 2018, 34(8): 1120-1125. FENG Shan, FENG Na, FU Yu-ying, ZOU Li, LIU Ke, REN Qiao, XU Xiao-yu. Effects of APAP on liver and kidney function in different pregnancy stage and related mechanism[J]. Chinese Pharmacological Bulletin, 2018, 34(8): 1120-1125. Abstract: Aim To observe the effects of acetaminophen (APAP) on liver and kidney function in mice with different gestational ages. 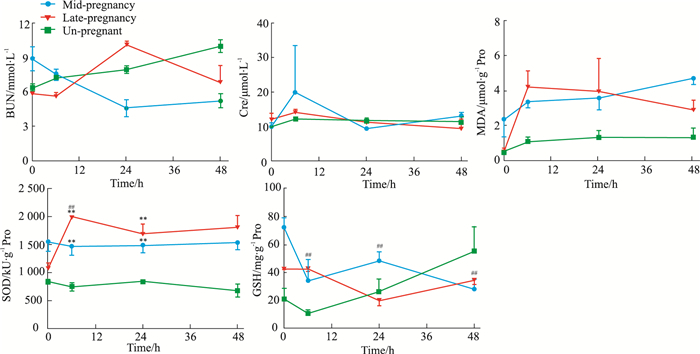 Methods 500 mg·kg-1 APAP was given to non-preganancy, middle preganancy and late-pregnancy mice by oral administration, then they were sacrificed at 0, 6, 24 and 48 h. The changes of alanine aminotransferase (ALT), aspartate transaminase (AST), alkaline phosphatase (ALP), blood urea nitrogen (BUN), creatinine and antioxidation indices superoxide dismutase (SOD), malonic dialdehyde (MDA), glutathione (GSH) and liver, kidney histological evaluation were determined. 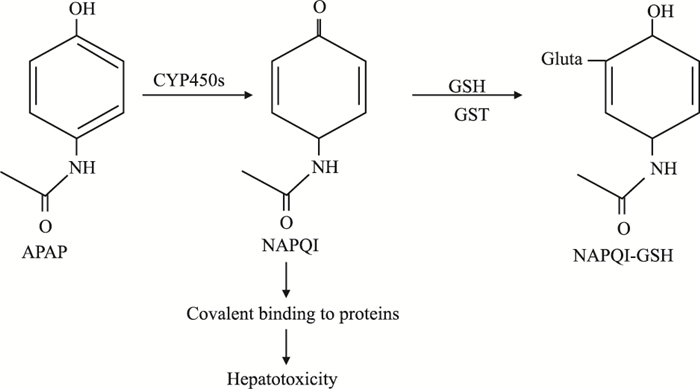 The activity of liver CYP450s and contents of liver NAPQI were detected by LC-MS/MS method. Results 500 mg·kg-1 APAP only caused mild liver injury in mice with mid-pregnancy as reflected by the increased of ALT, AST and ALP levels. 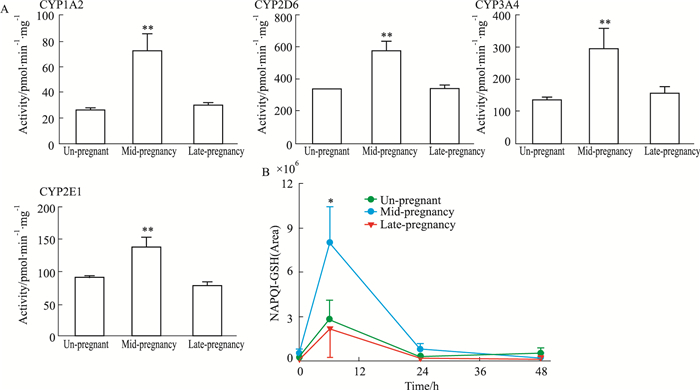 Besides, the CYP450s activity, SOD activity and GSH contents were significantly up-regulated in mid-pregnancy mice. What's more, 500 mg·kg-1 APAP has less effect on non-preganancy and late-preganancy mice liver function. Also, no effect was observed on the mice kidney function in all groups. Conclusions In conclusion, 500 mg·kg-1 APAP can induce mild acute liver injury in mice during the mid-pregnancy, which may be explained by the increase of CYP450s activity, SOD activity and GSH contents. 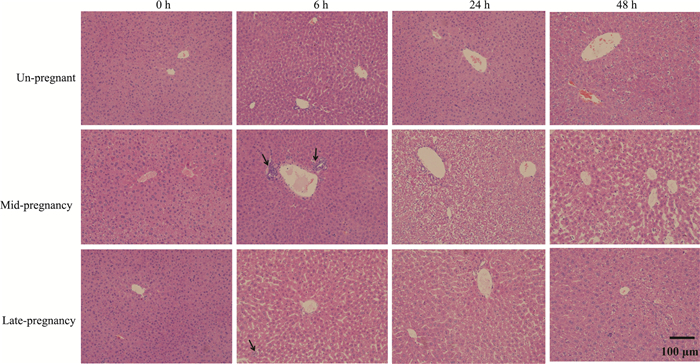 Fig 2 Liver histological evaluation of APAP-treated pregnant mice →: The infiltration of lymphocytes. 郭秋平, 杨威, 郭琳, 等. 对乙酰氨基酚SD大鼠毒代动力学研究及P450的影响[J]. 中国药理学通报, 2014, 30(8): 1183-4. Guo Q P, Yang W, Guo L, et al. Study on rats P450 and toxicokinetics induced by APAP[J]. Chin Pharmacol Bull, 2014, 30(8): 1183-4. 何航, 阚全程, 张莉蓉. 药物代谢酶的个体发育及表观遗传调控[J]. 中国药理学通报, 2017, 33(2): 167-71. He H, Kan Q C, Zhang L R. Ontogeny of drug metabolism enzymes and epigentic regulation[J]. Chin Pharmacol Bull, 2017, 33(2): 167-71. Larrey D, Letteron P, Foliot A, et al. Effects of pregnancy on the toxicity and metabolism of acetaminophen in mice[J]. J Pharmacol Exp Ther, 1986, 237(1): 283-91. Neto J A, Oliveira-Filho R M, Simoes M J, et al. 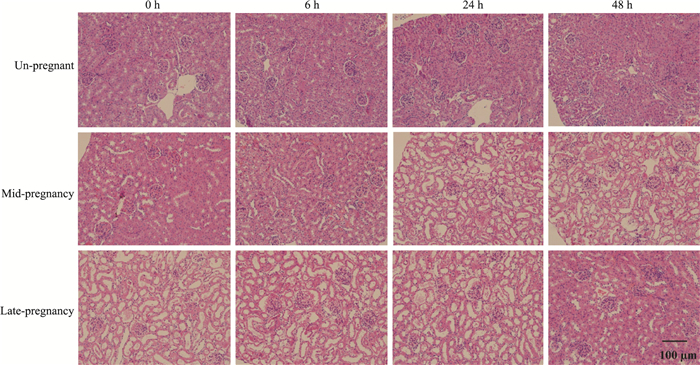 Long-term acetaminophen (paracetamol) treatment causes liver and kidney ultra-structural changes during rat pregnancy[J]. Clin Exp Obstet Gynecol, 2004, 31(3): 221-4. He L, Yang A, Cui T, et al. Reactive metabolite activation by CYP2C19-mediated rhein hepatotoxicity[J]. Xemobiotica, 2014, 45(4): 361-72. Chinese Pharmacological Bulletin, 2018, 34(8): 1120-1125.